We value your opinion! Please let us know how you currently feel about your school by answering this survey. Click on the appropriate grade level link below and complete by Monday, January 29, 2018. All responses are confidential and names will not be used. Thank you! Parent involvement in education is very important. 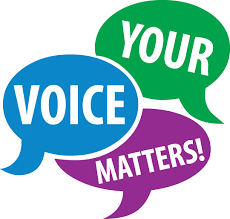 We invite you to answer this survey about parent involvement at our school by clicking on the link below and completing by Monday, January 29, 2018. All answers are confidential and no names will be used. We value your opinion! La participacion de los padres de familia en educacion es muy importante. Los invitamos a que contesten esta encuesta sobre participacion de padres. Haga clic en el enlace de abajo. El ultimo dia para participar es Lunes, 29 de Enero del 2018. Todas las repuestas son confidenciales y nombres no seran usados. Valoramos su opinion! In accordance with the Texas State Plan for the Education of Gifted/Talented students, Harmony Public Schools will begin taking nominations for all interested students in grades 1-12 for gifted and talented screening. Anyone interested in the educational welfare of these students may nominate them for assessment. Nomination forms are available at the front office, or may be downloaded below. The forms must be returned to the front office by Friday, February 9, 2018. Assessment will begin on Monday, February 5, 2018. For more information about the screening and identification process, parents may contact the school’s GT Coach/teacher. https://harmonypublicschools.network/hsabrownsville-new/wp-content/uploads/sites/113/2017/10/HSA-Brownsville-white-300px.png 0 0 Central Office https://harmonypublicschools.network/hsabrownsville-new/wp-content/uploads/sites/113/2017/10/HSA-Brownsville-white-300px.png Central Office2018-01-23 15:20:222018-01-23 15:20:22GATE (Gifted and Talented Education) Announcement! Dear Parents/Guardians, If you would like to nominate your child for the Gifted and Talented Education program, please fill out the Parent Nomination form and return it to the front office no later than February 9, 2018. Forms are available at the front office and on the school’s website. For any questions, please contact Ms. Galvan at (956) 574-9555 ext. 292. Estimados Padres/Guardianes, Si les gustaria nominar a su hijo/a para el programa de estudiantes Superdotados, favor de llenar el formulario de nominaciones para padres. El formulario tendrá que ser entregado en la oficina de la escuela antes del 9 de Febrero del 2018. Puede recojer un formulario en la oficina o puede imprimir una copia disponible en la pagina de la escuela via internet. Si tiene alguna pregunta, favor de contactar a Ms. Galvan al numero (956) 574-9555 ext. 292.